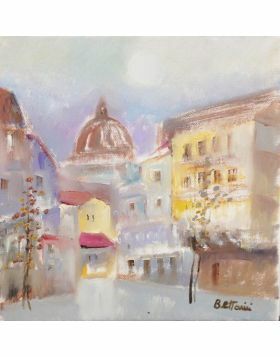 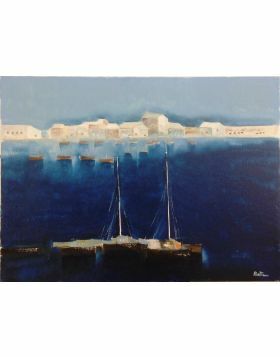 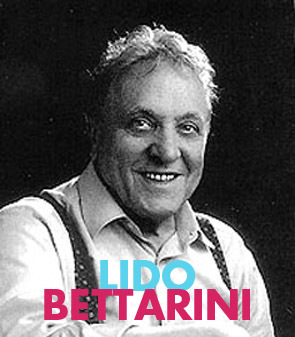 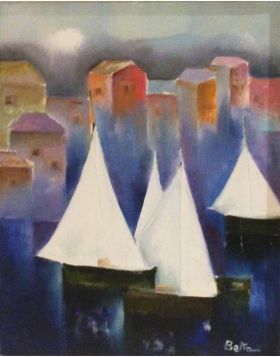 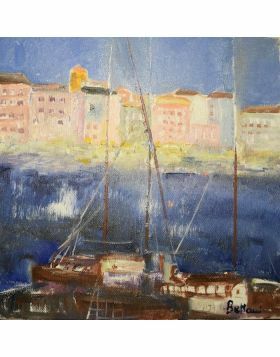 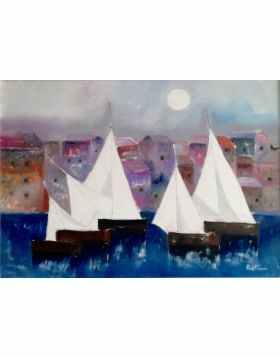 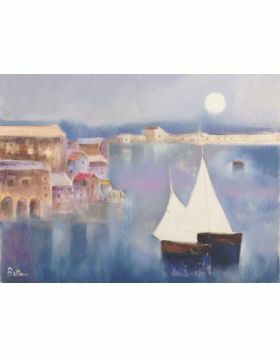 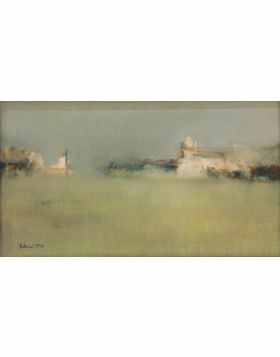 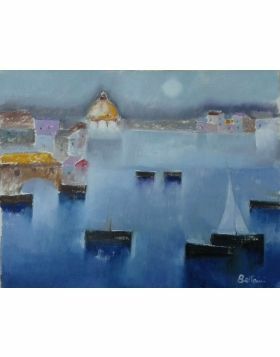 The subject of this oil painting of Bettarini is the typical sails on the coast of south France. 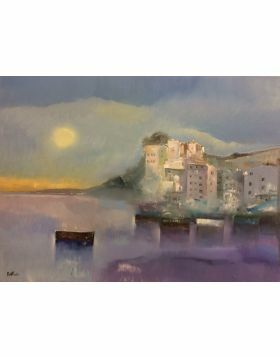 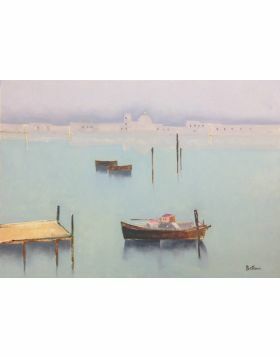 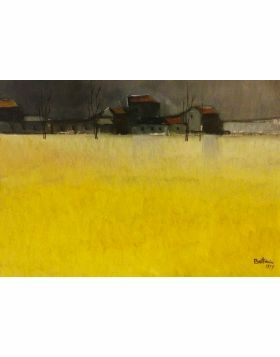 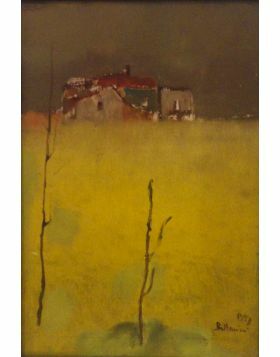 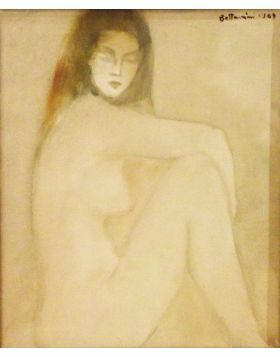 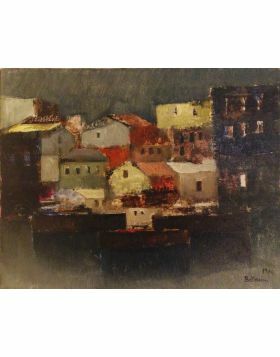 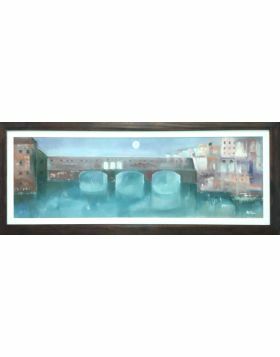 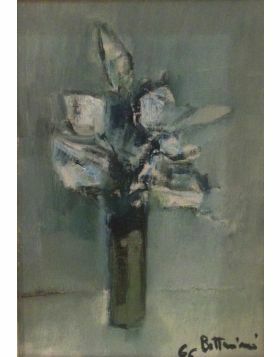 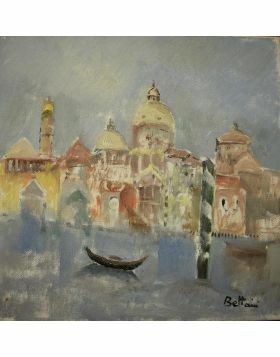 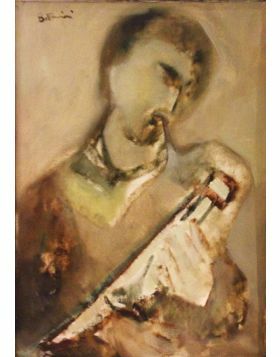 Oil painting signed in original and archived by the artist. 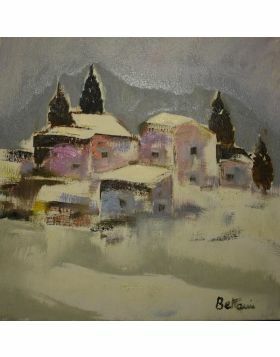 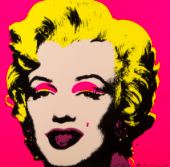 The gallery provides the certificate of authenticity.